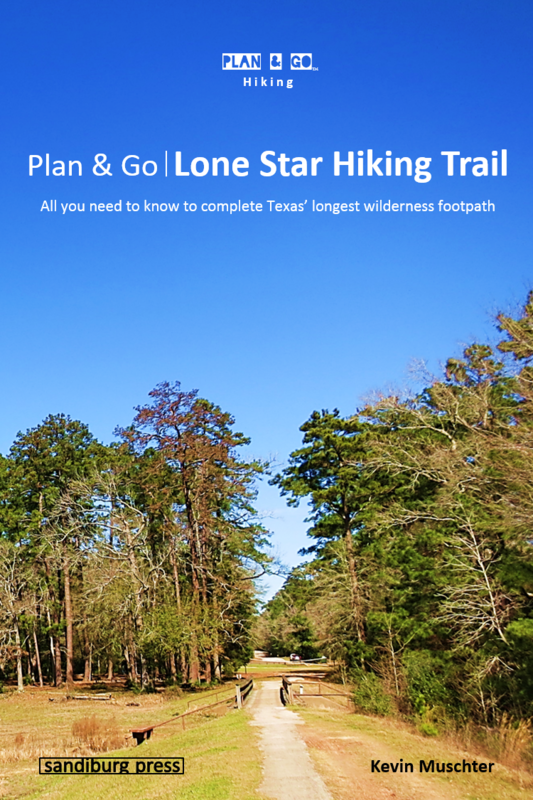 Plan & Go | Lone Star Hiking Trail is the ultimate guide to hiking Texas’ longest wilderness footpath through Sam Houston National Forest. Plan & Go | Lone Star Hiking Trail is the ultimate guide to hiking Texas’ longest wilderness footpath. In a clear and concise manner, the book describes the highlights and unique characteristics of the ‘LSHT’ and provides all the essential planning information to save you time and effort with your own preparations. Supported by step-by-step instructions and first-hand recommendations, you will be well-equipped and feel more confident about completing the 96+ miles in Sam Houston National Forest, whether in sections or as a whole. What are the highlights of the LSHT? How do I navigate along the route? In addition, Plan & Go | Lone Star Hiking Trail offers practical advice on athletic training, which food to pack and in what quantities, how to select gear and which items work best, as well as various other essentials for the trail. The book further includes a compact trail guide and example hiking itineraries to help you create an itinerary that best suits your personal preferences. The wealth of facts and figures is topped off with the entertaining and motivating account of the author’s own 6-day LSHT adventure. Kevin Muschter is a seasoned backpacker who was first introduced to the fascinating world of hiking by his parents during family vacations in the beautiful Czech Giant Mountains and Saxon Elbe Sandstone Mountains in Europe. Inspired by those early adventures, Kevin went on to travel and explore Europe’s largest mountain range, the Alps, on foot and on skis throughout the years. In 2011, he moved to San Diego, California, which quickly became his gateway to the Golden State’s vast and varied backcountry. Together with family and friends or solo, Kevin has since embarked on many backpacking adventures and multi-day trips in state parks, national forests, and of course the Sierra Nevada mountains. With a degree in business and IT, he is not only fascinated by the physical and mental challenges arising from hiking long distances, but also by streamlining all aspects of the planning process and trying out new advances in gear. To Kevin, hiking is a great way to escape the comfort zone and reconnect with nature while exploring remote and pristine corners of the world that are solely accessible on foot.